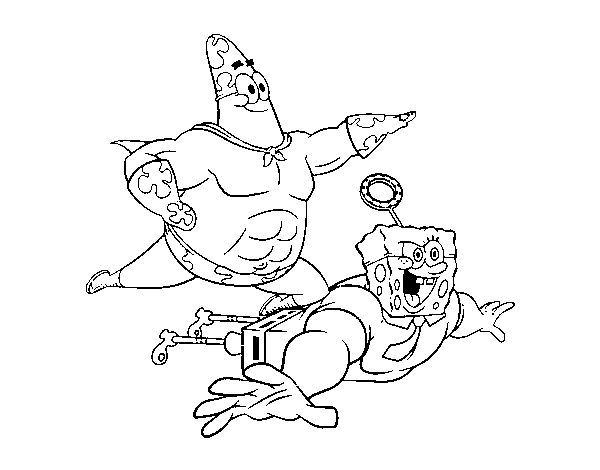 SpongeBob - Superawesomeness and Invincibubble coloring page to color, print or download. Color online with this game to color TV & Cinema coloring pages and you will be able to share and to create your own gallery online. SpongeBob - Superawesomeness and Invincibubble coloring page to color, print or download. Color online with this game to color TV & Cinema coloring pages and you will be able to share and to create your own gallery online. SpongeBob - Superawesomeness and Invincibubble coloring page ©2019 - HispaNetwork Publicidad y Servicios, S.L.